This par 5 returns play into the prevailing wind. 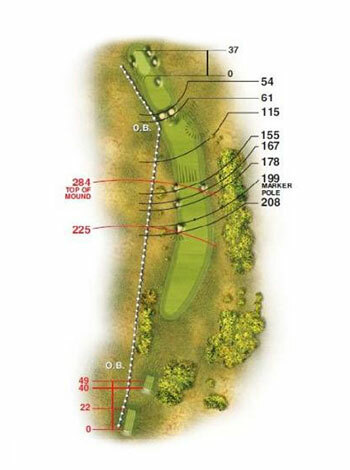 Cross bunkers, some 75 yards short of the green make the second shot extremely hazardous, especially as there is out of bounds to the left. The green is large but well bunkered.